Whether you are building, renovating or renting a house, you will surely need a residential Plumber in Portsmouth VA at some time or the other. Sometimes there are problems with a clogged drain, clogged toilet, garbage disposal repair, shower installation, sewer repair, drain cleaning, hot water heater repair, or tankless water heaters. In these situations, you will require a professional Plumber in Portsmouth. The sooner you call the plumbing service company the better you will be because water damage can be very costly if it goes unchecked for a long-time period of time. Newman’s Plumbing Service & Repair always offers 24 Hour Emergency service. People often try to save money by trying to fix plumbing problem themselves, but this might prove more expensive if you don't do it right. If there is only a small blockage in the pipes then the supermarket pipe unclogging products will take care of it. However, professional help is required in case of breaks, leaks or severely clogged pipes. 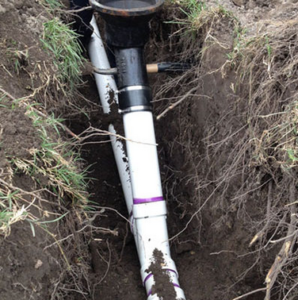 Sometimes, nearby tree roots invade the whole pipe through a small crack and the damaged pipe must be replaced. Broken septic tank pipes are also a health hazard which should be dealt with immediately by professionals such as Newman’s Plumbing Service & Repair. Only professionals like Newman's Plumbing Service experts will be able to locate and discern the exact problem and implement an affordable fix. They have the necessary training and experience which enables them to find the location of the damaged pipes and what is likely causing the problem. Plumbing companies come in all shapes, sizes, and expertise these days. Hence, it becomes very difficult to find a plumbing company you can trust. Before hiring professional plumbing services, make a thorough search and check reviews for the services that they offer. Newman’s Plumbing Contractors has an almost perfect 5 Star rating! Like any other business service category, the list of plumbing services offered varies with the type of companies in the market. There are many part time as well as full-service plumbing companies in the Tidewater area which offer Emergency Service for your convenience. To help you select the right plumbing services, you should check the list of the services that the Plumbing Contractor offers and whether they are rated high enough by customer reviews to help with any job or plumbing emergency. Newman’s has professional technicians to take care of anything on the spot. Newmans is known for prompt, courteous and professional service. John Newman has been serving the Hampton Roads service area for over 30 years. Newman's Plumbing Service can help you with simple and complex plumbing repairs as well as bathroom installations. In short, Newman’s can serve you with exemplary plumbing services, you can see their expertise in the quality workmanship. Their thorough understanding of the problem, prompt service, and the solid reputation of client satisfaction has been seen in Portsmouth communities for many years. It makes sense to get your plumbing services work done by highly qualified professional technicians with reasonable rates? Whether it is Bathroom Remodeling or any other plumbing problem we have the right solutions. 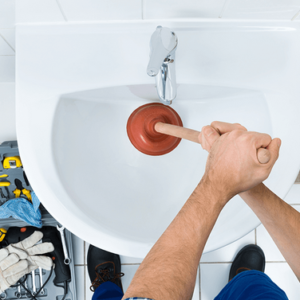 There are many benefits of hiring a licensed, bonded and insured plumbing contractor such as John Newman’s plumbing business to handle your next commercial plumbing project. There are many commercial plumber problems which escape the keen high of a highly-trained professional. It is always best to hire a Portsmouth Plumbing Contractor for your next commercial building project. The company you choose should use advanced technology like underwater cameras, infra-red and ground penetrating radar to ascertain the problems in the pipes and drains even if they are located underground. Plumbing work is a challenging task and it needs a thorough training and experience. Here are a few benefits of hiring Newmans professional plumbers. Professional plumbers are trained in such a way that they can identify the problem area quickly and work to correct the issue as quickly as possible. The efficiency of Newmans Plumbing and Repair service saves the customer money. They are also equipped with the right tools for any given problem. The company should also be able to offer 24-hour service. This will help you in case you encounter an emergency plumbing service, especially at night. Sometimes a problem may look simple but is much more complicated than it appears. By hiring a inexperienced plumber you could very likely cause yourself hours of headaches and spend a lot more money than necessary. Therefore, always start by hiring a licensed and insured plumbing professional such as Newmans. Newman’s has the right equipment on their trucks to get the job done right the first time. All of Newman’s technicians are well-trained and knowledgeable. They give you good solid advice in every situation like should you repair or replace the old cracked pipes. They will give you the right suggestion to use in relation to your budget and situation. Newman’s Plumbers only use the best brand names in plumbing and guarantee their service. Professional plumbers can fix the problem quickly and permanently leaving the customer 100% fully satisfied. No plumbing job is too big or too small for our highly-trained staff of professional plumbers in Portsmouth VA.
Our plumbing company always offers the most competitive rates. Depending upon the nature of the work and the cost of the service Newman’s will give you an estimate of the work needed. It is important to do some homework on the reputation and efficiency of a company that you plan to hire so check out our highly rated service on Google, Yelp and Facebook. Once again, we use all the top brands like American Standard, Delta, Rinnai, State, Grohe, Insinkerator, Kohler, Bradford White, A.O. Smith, Toto, ProFlo, and Sterling. Newman’s can offer you a service plan agreement or guarantee on many repairs. 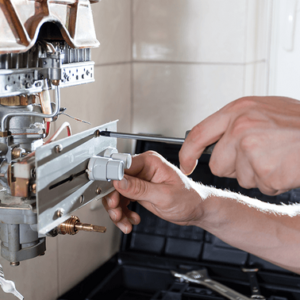 Procedures like re-piping, drain cleaning, new water services, faucets and fixture replacement, new sewer lines and hot water heaters are often backed up by warranties in writing. Such options make the customer have faith in the services offered a Portsmouth plumbing company. Plumbing jobs need experience and the right skills. A less experienced or a non-skilled plumber can create havoc. With the increasing demand of professionally licensed and experienced plumbing companies, the industry has become organized. The best plumbing company in Portsmouth VA is hard to find. Call Newman’s and we will guide you through the often-confusing challenge of hiring the right plumber for your job. Contact Newmans Plumbing us at (757) 465-0883.